Another episode of bright, glaring sunshine this late-morning Thursday on California’s north coast, though, any attempt at warmth is filtered via a chilly ocean breeze — find a wind-block, like a wood fence or whatever, and the environment becomes way-nice. 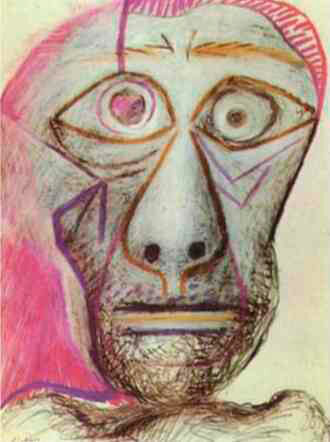 (Illustration: Pablo Picasso’s ‘Self Portrait Facing Death‘ (June 30, 1972), was originally found here). Huh? What is this, ‘surety,’ and how does it relate? In case you were wondering, “surety” is a word, just not the one Trump was looking for. There is also what Oxford calls the word’s archaic definition — “for certain”—which is a little bit closer to what Trump was going for. For some reason, though, we doubt the president’s usage was culled from his deep well of knowledge of archaic word definitions. Merriam-Webster’s Twitter account, which has been calling Trump out for months, has yet to weigh in on the issue. “He wants to figure out a way — as he’s done all his career — to turn a loss into a victory,” Schwartz said.